We didn’t have a shopping guide last week due to some developments being made first (click here to read about it, and this one still being planned). But now we’re back on schedule, so here is this week’s shopping guide! 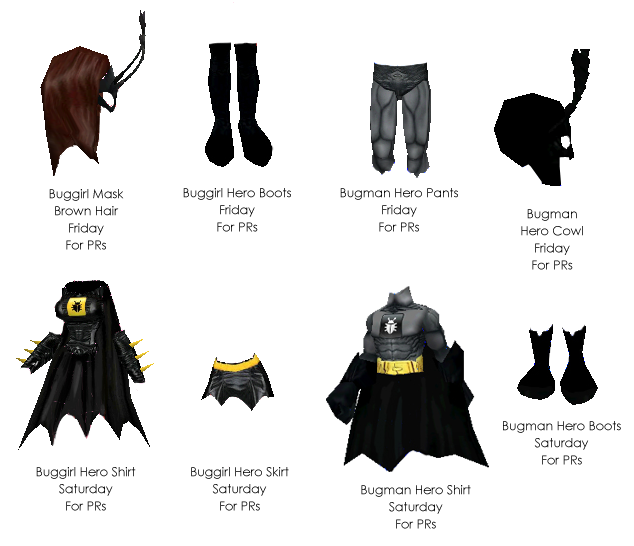 I’ll be making a different blog post about our featured clothing items this week, but you’ll know just by looking at the list– it’s the Prince and Princess outfits! We also have our best sellers at Frank’s: the Wooden Kitchen Counter Set and the Brick Fireplace. Buy these items while they’re in stock! Yikes! Is Sanad9 a human bug?! Our winners for this week’s BMAP, beating another pair by a mere minute, are Sumayyah and Sanad9! Congratulations, you two. You’ll both be receiving your prizes real soon. Good job on the human bug comment, by the way. Made me really laugh! Did you laugh too? Share your thoughts about this picture at the comment section. See you all next week! This week’s BMAP round is a bit trickier and requires two people. Ready for it? Here goes! Bring me a picture of you trying to catch your friend with your bug net while your friend is dancing near the river at River Creek area. This will take some time, but be quick about it since the first one to email will win. Both you and your friend will receive a prize. Don’t forget to email me your complete SocioTown name too. First time joining BMAP? Click here to know more about it. 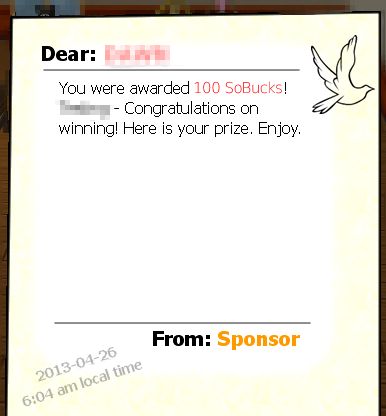 Chris has developed a new way to notify you whenever you receive SoBucks or items from winning a contest or participating in an activity. Yep, it’s through a pigeon mail from your sponsor! If you won any contests lately, or if you’ve recently shared a picture of a couple in our Facebook page, I’m sure you got your prizes by now. We still have to send the prizes for the Easter Egg Hunt winners, but the previous winners of our Image Contests and Spring 2013 Fashion Contest have been given prizes already. Thoughts, questions, reactions, or inquiries about this new feature? Share them below! Again, the most interesting/unique/funny/wacky entry will have a huge chance on winning. Depending on the quality and number of entries, I may pick more than one winner and/or runner-up(s). Grand winner(s) will get 100 SoBucks and runner-up(s) will get 50 SoBucks. If you take a picture with a friend, the one who submits it will be the official entrant, and you can decide on splitting the prize if you want (just inform me). For questions and inquiries about this contest, you can comment below and I’ll answer you asap. 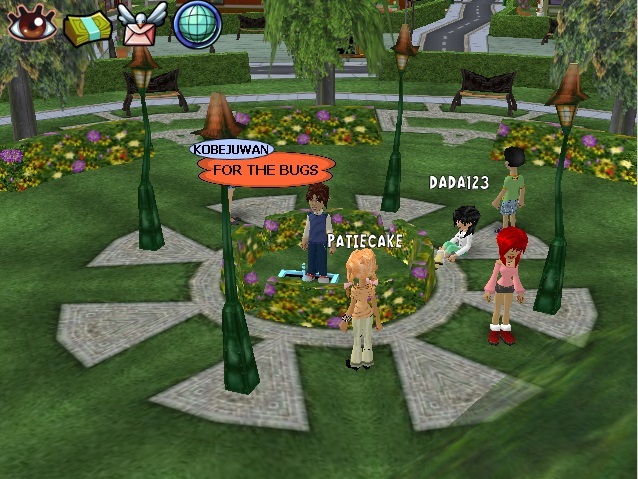 Enjoy your time with the bugs and have fun with your entries! Want to check your pigeon mail or your stats using your smartphone? Chris has thought of making some helper apps for SocioTown so you can keep track of your Socian on-the-go! Aside from the awesome SocioTown spin-off game for the iPhone and Android, Chris wants to have another related app to SocioTown. Head over to the discussion area or click here to read the thread. If you’re unable to post in the forums, you can also share your ideas in the comment section below, and I’d gladly share them to Chris. We’d love to hear what you think about this! Clocking in less than ten minutes, Kobejuwan sent his image quickly and wins this round of BMAP. I do hope you didn’t disturb other Socians with your shouting. 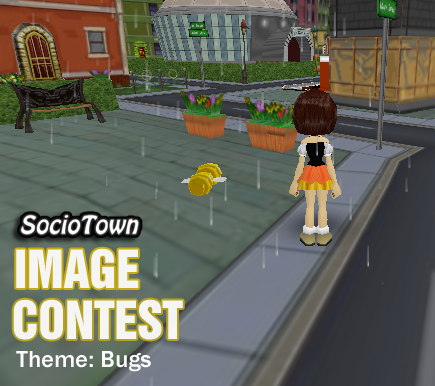 Next week, we’ll be having a really challenging round, so ready your lightning speed screenshot skills, SocioTown resources and creativity. See you next week! Ready for this week’s Bring Me A Picture round? Well then, here is this round’s situation. Bring me a picture of you shouting “For the bugs!” in the middle of the park. First to email me a picture fitting that situation wins a special prize. For the rules and more details of this wacky contest, read here. Good luck and have fun! Here are the winners of last week’s Image Contest round! 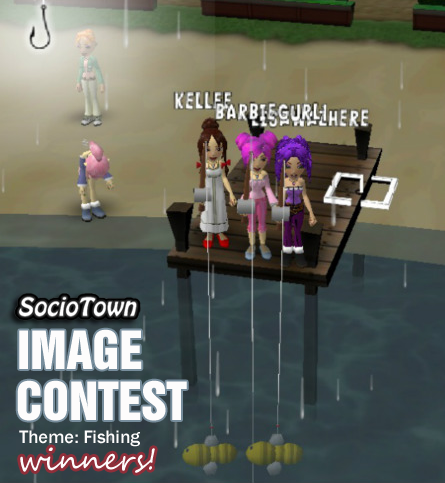 I hope you enjoyed fishing with your friends and snapping pictures for the contest. I will send the prizes once the new prize sender is done (it’s being upgraded). To see the winning entries, click read more below. Enjoy!